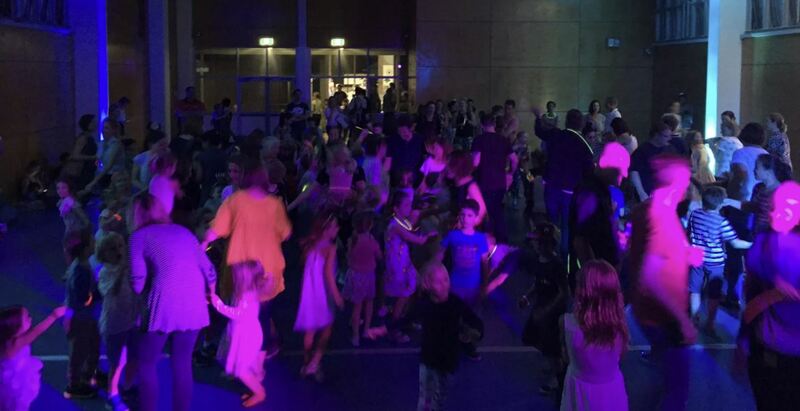 Well it was back to Norman Park State School for their School Disco on Friday night, with the juniors starting off at 5:00pm – 6:30pm, followed by the Seniors there after. It’s always alot of fun when I go to School Disco’s and the kids remember me from last time – some of the kids were new to the school, others remembered some of the games & activities – including our mega dance off that we have a lot of fun doing. Its a great size hall to have a lot of fun & games in with the kids – all of the Junior Kids came up – and followed my actions & the words to the songs and got involved – even with Mum & Dad! After 6:30pm it was time for the big kids to have a dance – and so they did! They were really into the slow songs to start with (…dont know why – but there are some popular ones out at the moment) – and even a few Justin Bieber songs (not that I am a BIG fan of the beebs..) played as well. We did a really fun game where we picked out 1 or 2 kids to do some activities and they also won some prizes – and the staff, students, teachers, mums & dads all had a great time. It’s so great when you have such a fun night at the Disco, and all of the kids give you 3 big cheers afterwards! Although tired, I was on a big high afterwards.